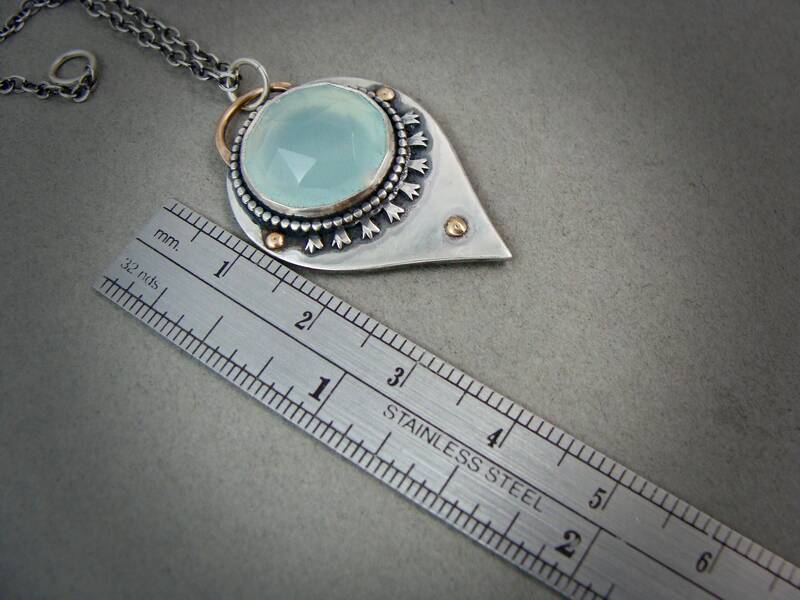 This soothing chalcedony has lots of facets that shimmer in the light. 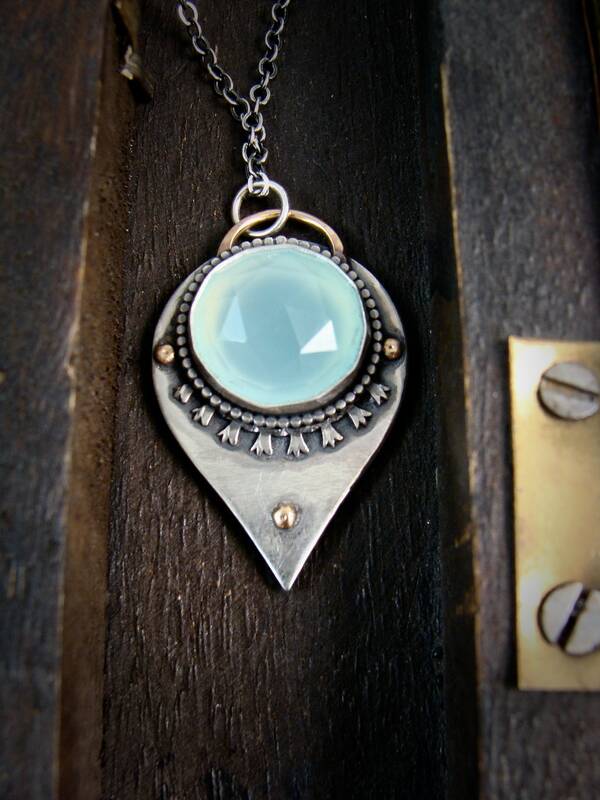 The gem has been embellished with delicate silver and 14k gold filled accents. 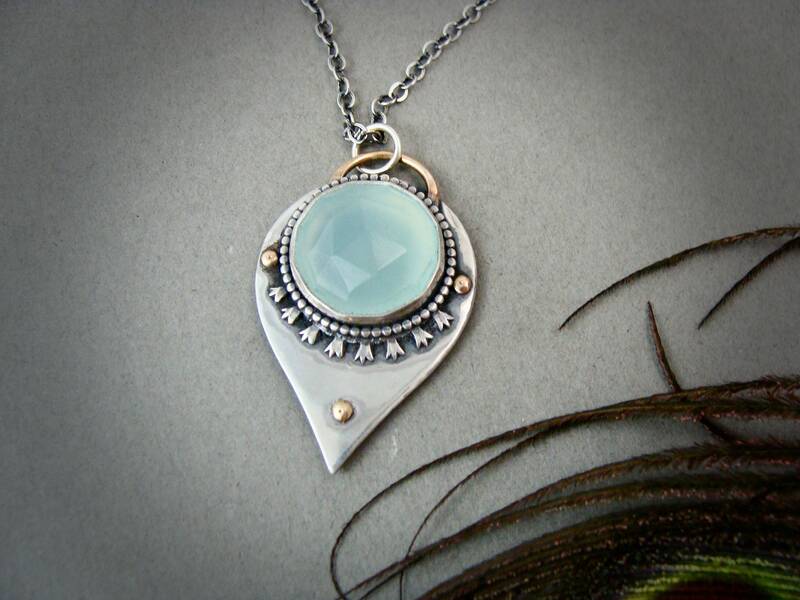 The silver has been given a dark patina to add drama and contrast. 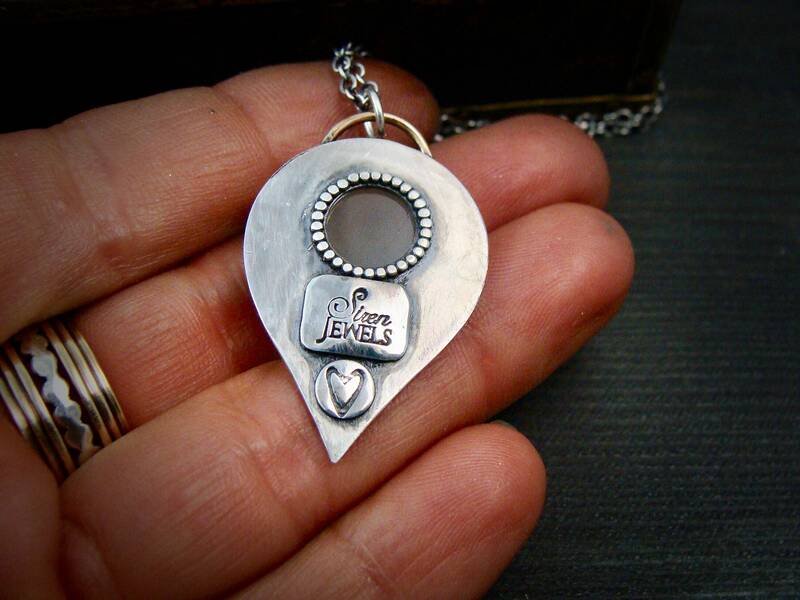 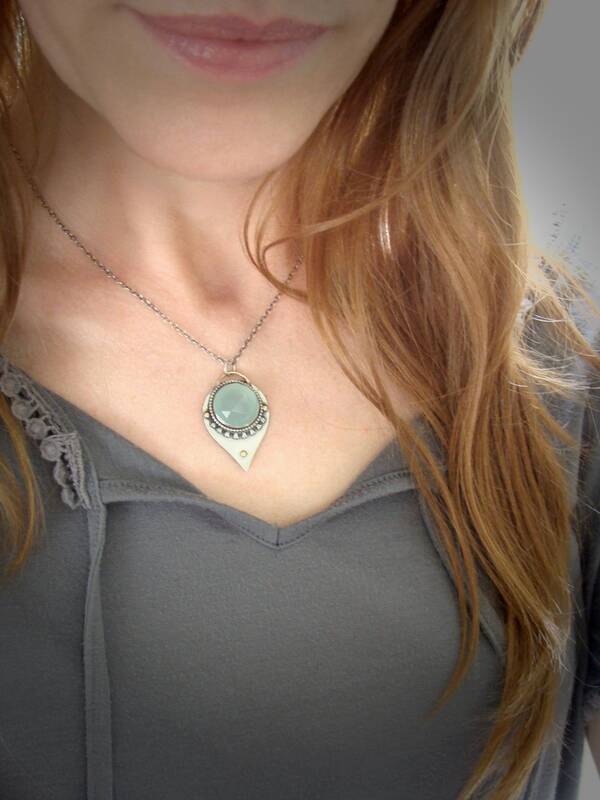 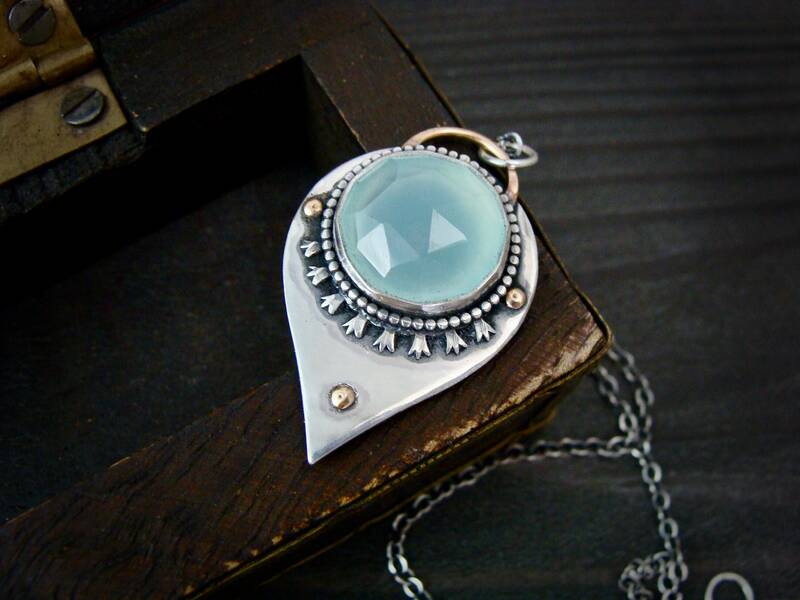 The back side of the pendant has circular cutout and is stamped with a secret heart and my maker's mark. 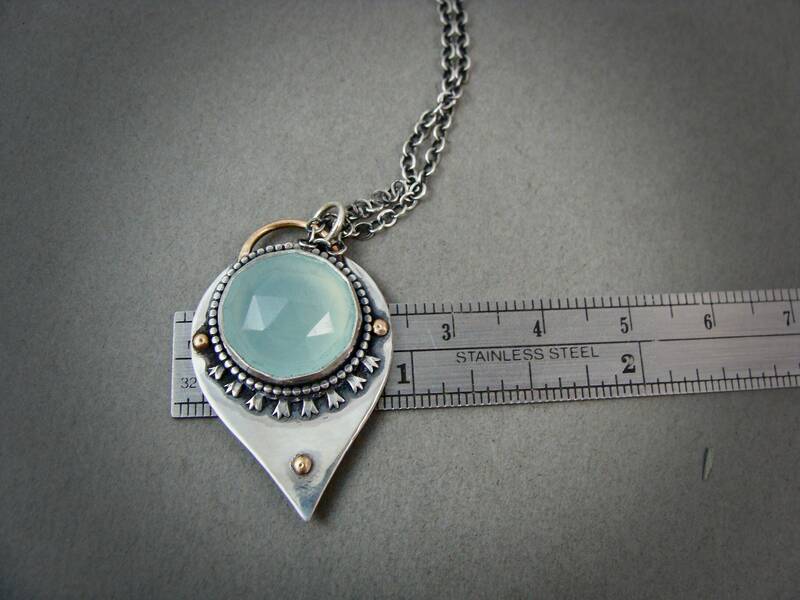 ☞ Pendant measures 1 1/4 x 1"
Gem lore ~ Chalcedony is in the quartz family so it magnifies crystal energy to soothe and restore balance. 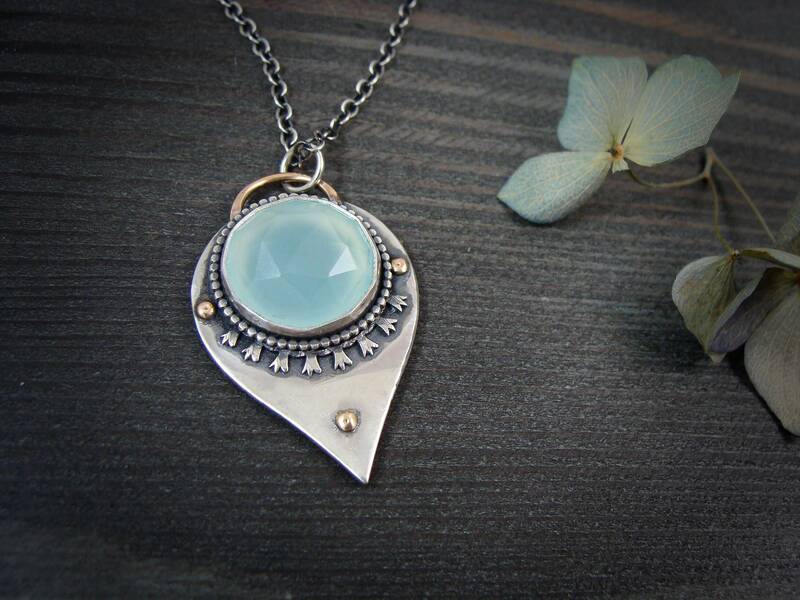 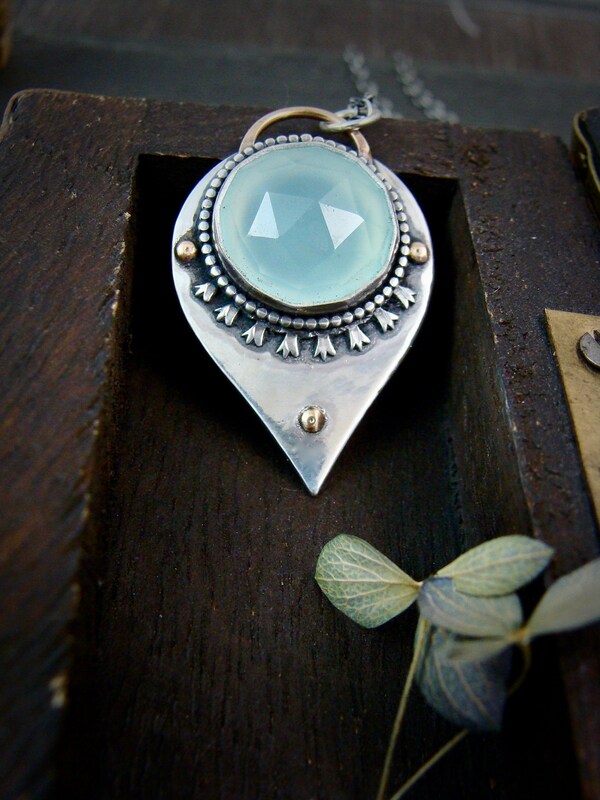 It's a nurturing stone that promotes good will and defuses negative energy.